Among the 49 tenured researchers at the Center for Molecular Biophysics in 2018, 19 are Faculty members (Senior Lecturers and Professors) at the University of Orléans. They are actively involved in teaching courses at all levels of higher education - undergraduate, master’s and doctoral levels – in physics, biochemistry and biology. « Master Bioactives molecules chemistry » option » Design and synthesis ». « Master in engineering - Chemistry for therapeutic innovation and cosmetic (CMI - CITC) ». They also give courses in the Franco-Polish Master’s program in Biotechnologies. CBM is strongly involved in these Masters degrees both by giving courses and training students through projects and internships. About 20 doctoral students from ED 549 are currently doing their PhD in the research teams of the Center. 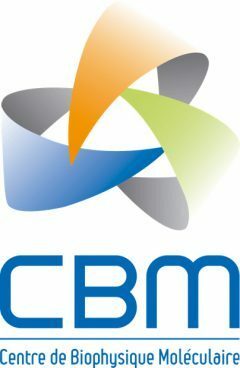 Every year, the CBM teams host around 70 trainees, ranging from secondary school pupils to second-year Master’s students, covering a wide range of disciplines: biochemistry, biology, physics, chemistry, computer science, information sciences, etc.